This is a video from Curtis Stone's excellent Urban Farmer channel. Yukon's North Star Agriculture is planning to build an indoor vertical aquaponics farm in the Yukon at a cost of $8 million dollars. 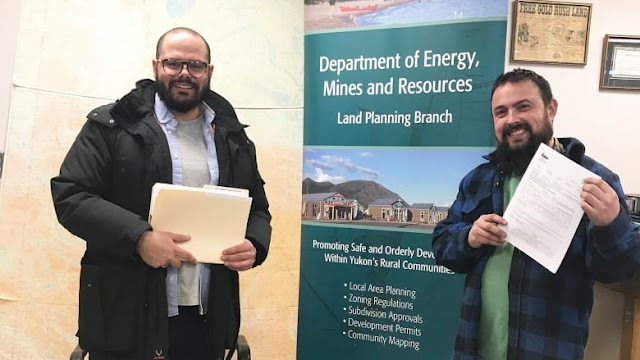 The proposed farm will be located near the Takhini Hot Pools so that geothermal energy can be used to reduce energy costs by at least a third. The farm would not only produce fish and plants, but would also generate income from agro-tourism. The Whitehorse company is partnering with and receiving some funding from Edmonton-based NutraPonics. They also hope to partner with the Carcross-Tagish First Nation. The federal government is keen to help transition B.C. salmon farms to designs and technologies that address nagging environmental concerns, says Fisheries Minister Jonathan Wilkinson. The key is to address the huge cost difference between net-pen farms and alternative systems by supporting the development of sustainable farms, he said. Federal Fisheries Minister Jonathan Wilkinson says that with better technology ‘there is an opportunity to significantly grow the industry and make Canada an even bigger player in aquaculture. Recently, the Standards Council of Canada published a new organic standard for aquaculture to help make organic seafood more widely recognizable. However, this label presents its own set of challenges when it comes to organic certification. Most importantly, vegetables and fruits grown in aquaponic systems can be certified organic under the organic aquaculture standard, even though this would not be allowed under the Canadian Organic Standards (COS). Understandably, this has created some challenges. 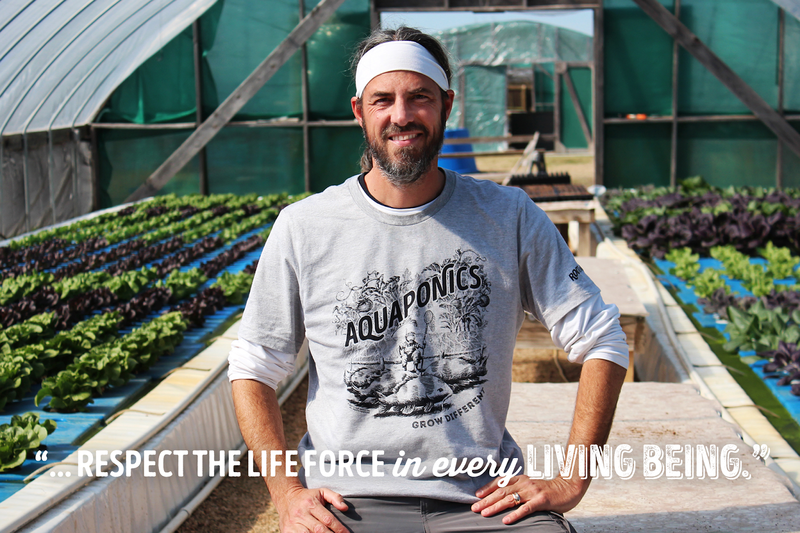 Under the Safe Food for Canadians Regulations, aquaponic products can now be legally labelled as organic if they are certified by an approved certifying body in accordance with the organic aquaculture standard. According to the CFIA, producers are encouraged to provide voluntary information about which standard the product was certified under. Organic labelling is necessary if a company wishes to export its products outside of its province of production. However, since aquaponics are newly regulated, aquaponic producers will get a grace period of 24 months once the Regulations come into effect on Jan. 15, 2019, during which organic producers will not have to be certified. Deepwater Farms in Calgary raises 900 kilograms of Australian sea bass (or barramundi) every month. 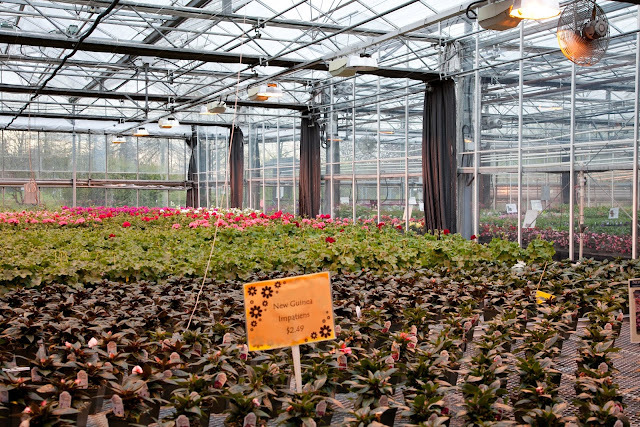 The waste is broken down with micro-organisms to create nitrates that fertilize the more than a million seedlings grown less than every two weeks under LED lights in the facility. They were recently featured in this CBC video and article. Deepwater supplies the top restaurants in Calgary with baby kale, arugula, watercress, red pac choi, mustard greens. Oceana Canada's 2018 Fishery Audit is available for download here. 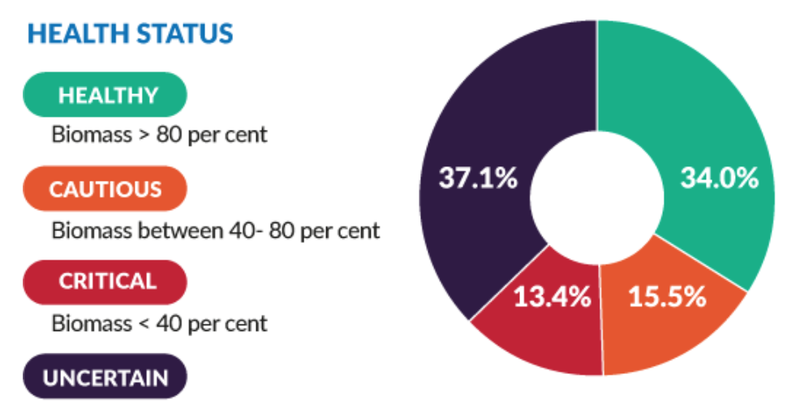 Oceana Canada’s first annual Fishery Audit in 2017 revealed that our fish stocks are not delivering nearly as much as they could, for oceans or for people. In 2017, only one-third of our stocks were considered healthy. Of the 26 critically depleted populations, only three had rebuilding plans in place. Big gaps remained in the data required to manage stocks effectively. One year later, some progress has been made. 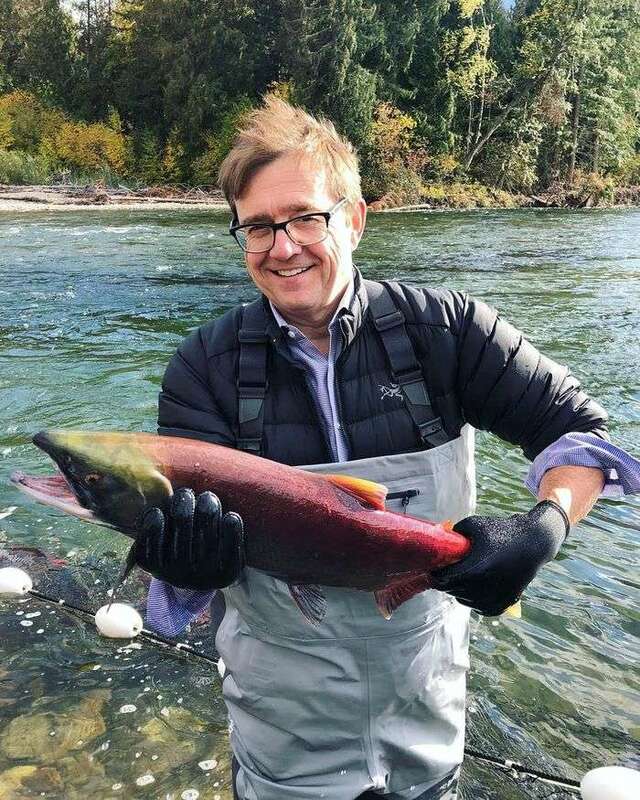 Fisheries and Oceans Canada (DFO) has made significant investments in federal fisheries science, and the department continues to increase transparency by releasing its annual Sustainability Survey for Fisheries and departmental work plans. However, much more work needs to be done if our seafood industry is going to reach its potential. Recent investments in federal fisheries science capacity has not yet yielded measurable change in the reported metrics. DFO is falling behind on implementing work plans developed in response to the Auditor General’s 2016 report. For example, four of five rebuilding plans promised by March 2018 remain incomplete. Key policy instruments have not been fully implemented or remain in draft form, including the proposed Fishery Monitoring Policy. Meanwhile, scientific and management information produced by DFO is often published late or not at all. On the water, there have been few changes in stock health. 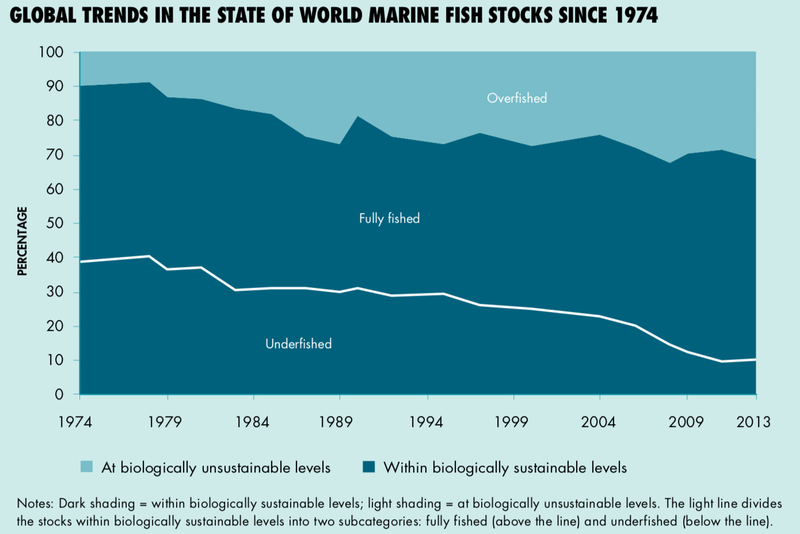 This is to be expected: it takes time for investments in science and policy to be reflected in measurable changes in the abundance of fish populations. 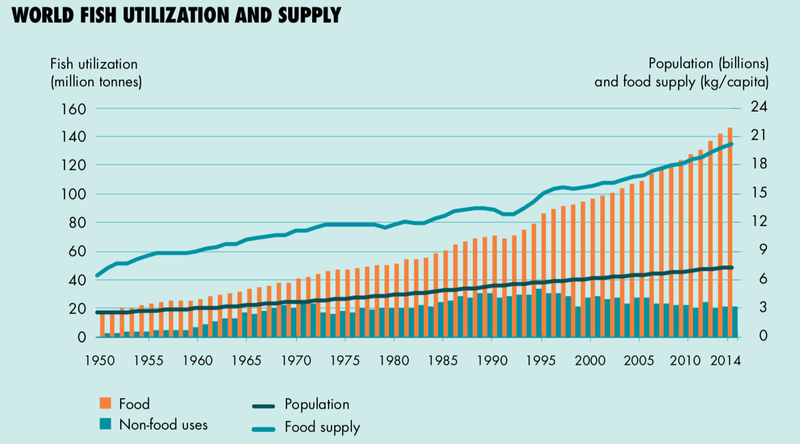 However, the slow pace of policy implementation means the long-term decline in Canada’s fish stocks has not yet been halted, let alone reversed. Oceana Canada has recommended specific actions — detailed here — to address issues raised in this Audit. These include completing work plans and rebuilding plans, filling data gaps and finalizing a national catch-monitoring policy. This is episode 23 of the Get in My Garden Podcast. Today we have another very special episode. The subject is Controlled Environment Agriculture. We meet Charlie Shultz, a researcher, farmer and teacher; a pioneer in the field of aquaponics and lead faculty in the very impressive Controlled Environment Agriculture Program at Santa Fe Community College. Charlie began working with fish and plants as an undergraduate at Virginia Tech while double majoring in Biology and Fishery Science. His work has sent him to many locations including 14 years at the University of the Virgin Islands in St. Croix, U.S. Virgin Islands, where he researched indoor aquaponics production and its many facets from nutrition and system economics. We will cover a lot of topics from aquaponics systems vs hydroponics, their economics, food security and water supply challenges the world faces, and how these controlled environment agriculture systems are the solution. 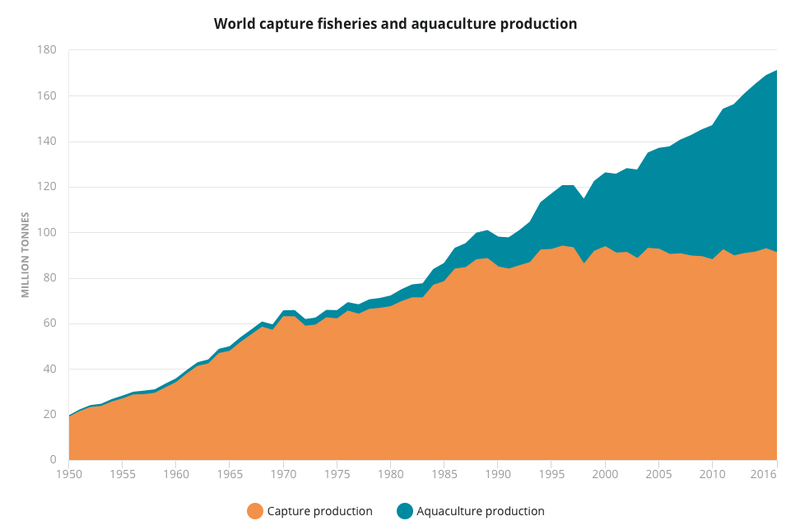 A new report from the United Nations Food and Agriculture Organization (FAO) shows that per capita fish consumption is above 20 kilograms a year for the first time. Almost a third of commercial fish stocks are now overharvested at biologically unsustainable levels. But the good news is that a growth in rapid aquaculture has helped on the supply side, but population growth and demand are still outpacing supply. 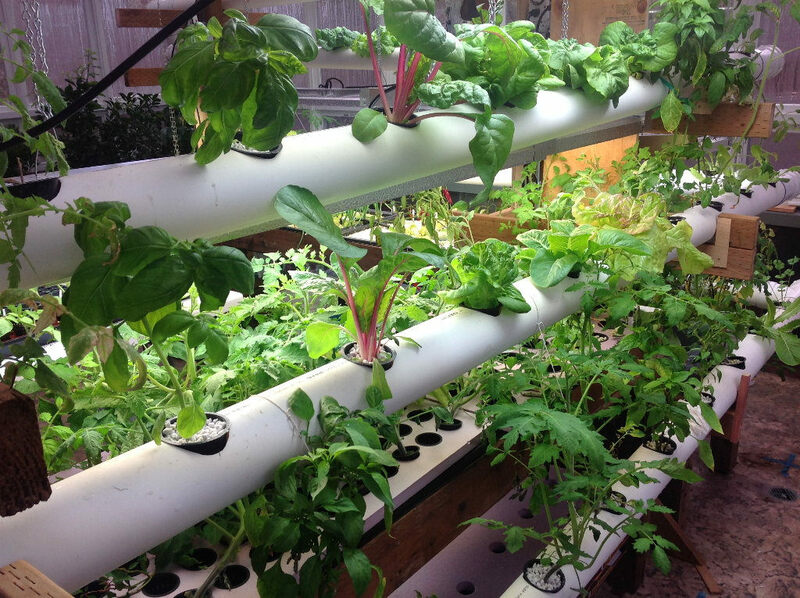 This represents an opportunity for sustainable food productions systems like aquaponics. The B.C. government will not cancel provincial tenures for 20 coastal open-pen fish farms, instead giving the industry and its thousands of jobs a four-year reprieve while the province waits for Ottawa to take the lead on the issue. The NDP government has been pressuring fish farms to switch to closed land-based facilities, where there’s no risk to wild salmon. But the industry has said it’s not financially feasible. The province intends to encourage more research on land-based fish farms during the four-year transition. The Union of British Columbia Indian Chiefs (UBCIC) applauded the announcement in the following press release. (Coast Salish Territory/Vancouver, B.C. – June 20, 2018) The UBCIC applauds today’s announcement as an initial step on the pathway to preserve and safeguard the future of wild salmon consistent with the rights, cultural practices and economic livelihoods of many First Nations throughout BC. Today’s announcement recognizes the significant role wild salmon play in the cultures, lives and economies of First Nations peoples throughout the province. The province has begun to demonstrate its commitment to the implementation of the UN Declaration on the Rights of Indigenous Peoples by recognizing the authority of our Indigenous decision-making processes and our rights to grant or withhold our free, prior and informed consent to projects which impact our title and rights. 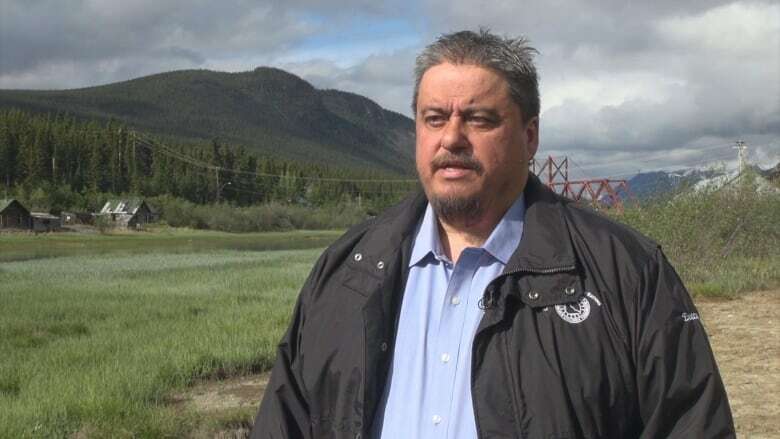 The UBCIC further supports the appointment of the new Wild Salmon Advisory Council, and awaits with great anticipation the Council’s final report and encourages the province to provide the necessary resources to ensure the report is enacted. For many years the UBCIC has been mandated through resolutions to advocate for the removal of Atlantic salmon fish farms from our coast for the benefit of our wild salmon populations. In September of 2018, the UBCIC in partnership with the BCAFN will be hosting the 2018 Wild Salmon Summit to develop a First Nations designed province-wide strategy to safeguard this important species for future generations. KPU's Faculty of Science & Horticulture is offering an aquaponics workshop on June 23 on the Langley, BC campus. Attendees will also be provided with an electronic package of resources that will help them continue their journey of learning and growing sustainably with aquaponics, as well as a Certificate of Completion from Kwantlen Polytechnic University. Saturday, June 23 | 10am-1pm | KPU Langley Campus | $99 ppture is sponsoring an aquaponics workshop on June 23 on the Langley campus. This course helps build on the aquaponics expertise and knowledge of those looking to get into, or already having their hands wet in these integrated plant production methods. The two-day Aquaponics Systems course is a refined and adapted course from our popular “Build Your Own Aquaponics System”, and will provide the foundational knowledge base on which you can successfully construct and operate your own aquaponics system for school, home or business. 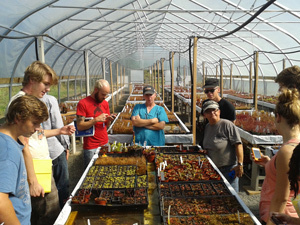 It will include topics such as seeding, fish handling, water quality, pest management, and system design and operation. Both courses provide a wealth of knowledge and ample opportunity to ask questions. Registration closes March 15, 2018. The Canadian General Standards Board has published a guide for organic aquaculture production. Organic production is a holistic system designed to optimize the productivity and fitness of diverse communities within the ecosystem, including soil, sediment and benthic organisms; crops; livestock and people. The principal goal of organic production is to develop operations that are sustainable and harmonious with the environment. This standard describes the principles and management standards of organic production systems, and provides lists of substances that are allowed for use in organic production systems. Principle of health – Organic production should sustain and enhance the health of water, soil, plants, animals, humans and the planet as one and indivisible. Principle of ecology – Organic production should be based on living ecological systems and cycles, work with them, emulate them and help sustain them. Principle of fairness – Organic production should build on relationships that ensure fairness with regard to the common environment and life opportunities. Principle of care – Organic production should be managed in a precautionary and responsible manner to protect the health and well-being of current and future generations and the environment. Wilson Lennard is an Australian scientist with a PhD in Applied Biology. His thesis topic focused on the optimisation of commercial aquaponics systems. 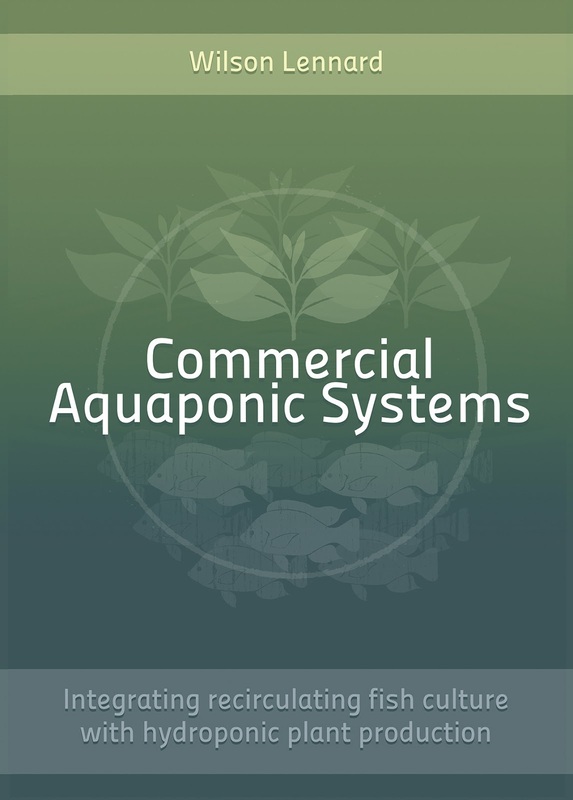 Dr. Lennard also has over 16 years of experience in the aquaponics industry. Here is a section from his preface that describes the purpose and focus of the book. 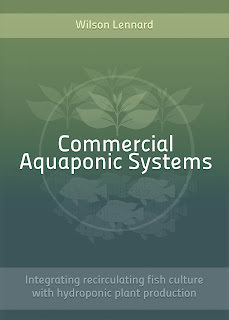 The purpose of this book therefore, is to not repeat the knowledge that is already available for standard, tank-based fish production (RAS) or standard hydroponic plant culture in detail, but to rather concentrate on the requirements of the integration process so as to produce the most efficient and optimised aquaponics designs and management methods available. This book wont therefore, go into upper level design and engineering aspects of the fish or plant culturing components of the aquaponic system design process. More detailed information may be found in other, excellent references and resources related to stand-alone RAS fish culture and stand-alone hydroponic plant culture. This book will concentrate on the application of science and engineering principals to the integration of these two existing technologies in a number of ways that meet the ultimate aquaponic outcome; the efficient and optimized use of the nutrient resources (i.e. fish feed) added to the system. This book will also consider many of the satellite technologies associated with aquaponics, such as greenhouses, lighting, etc. However, and again, there are many excellent resources already available for these requirements, all of which go into far more exacting and complex detail than this book could attempt to do. Therefore, while these other technologies will be considered, it is more the purpose of this book to concentrate on the integration principles associated with fish and plant culture and so these other technologies are better served by trying to provide a list of appropriate external resources. We hope to provide more details after we get our copy. You can purchase the book here.